The weekend here was pretty rainy, so we weren’t able to start on our deck. It was nice to have another weekend to relax and not stress about getting stuff done. I was not able to work on any of my WIPs this week because I didn’t have much time to sew. 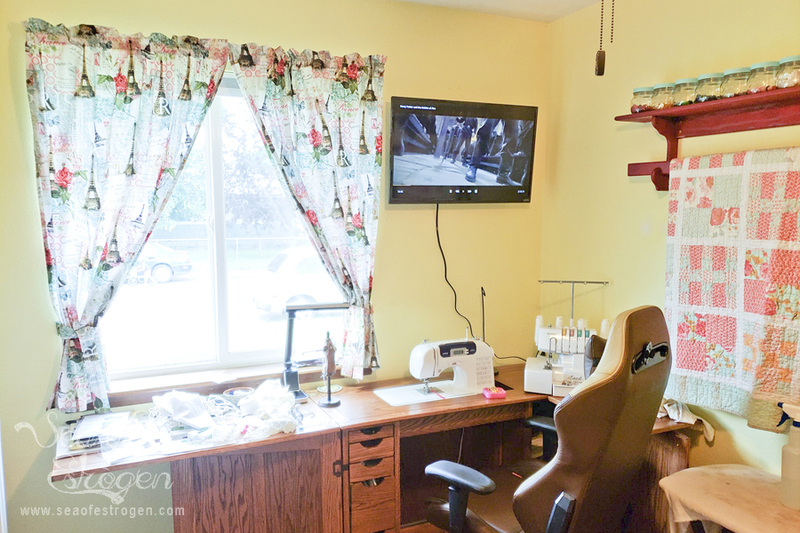 Instead of sewing, I spent the weekend moving into, unpacking, and organizing my sewing room. There is still A LOT of cleaning, organizing, and unpacking to do, but it is so nice to have my own space and not be taking over the dining room and living room! Pip’s crate, food, and supplies and this bookshelf are on the south wall. 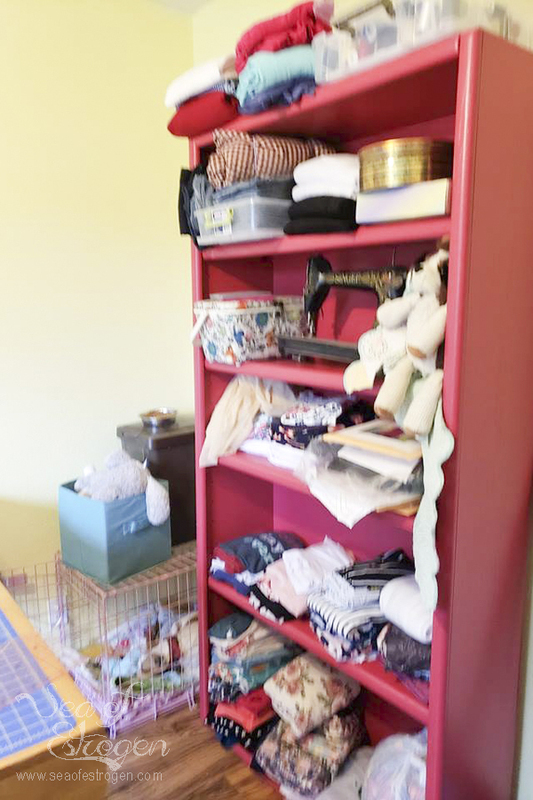 Eventually, I would like to replace the shelf with a hutch of some sort for additional space – Oh, and all the stuff on the shelf right now is just kind of thrown there until I get a chance to get the rest of my fabric out of the attic of our shed. I still need to sort, fold, and weed through a lot of it. 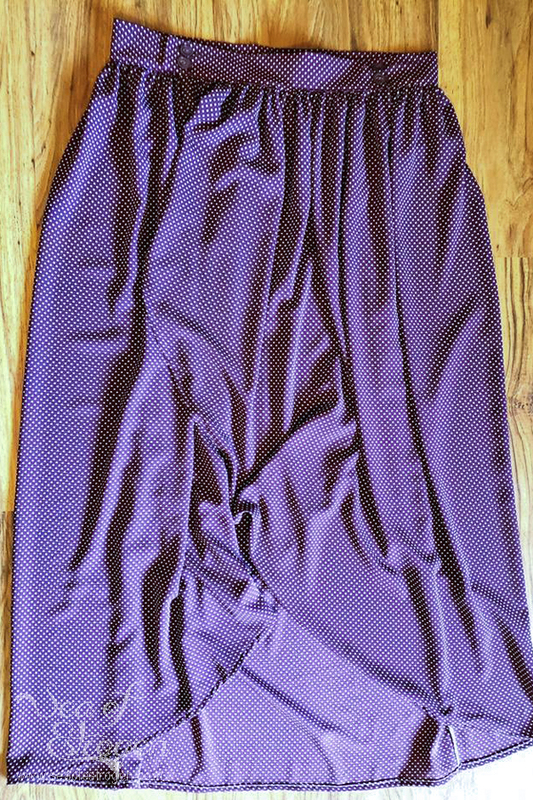 This week’s stocking at Mily Mae Fabrics includes a GORGEOUS rayon crepe polka dot. 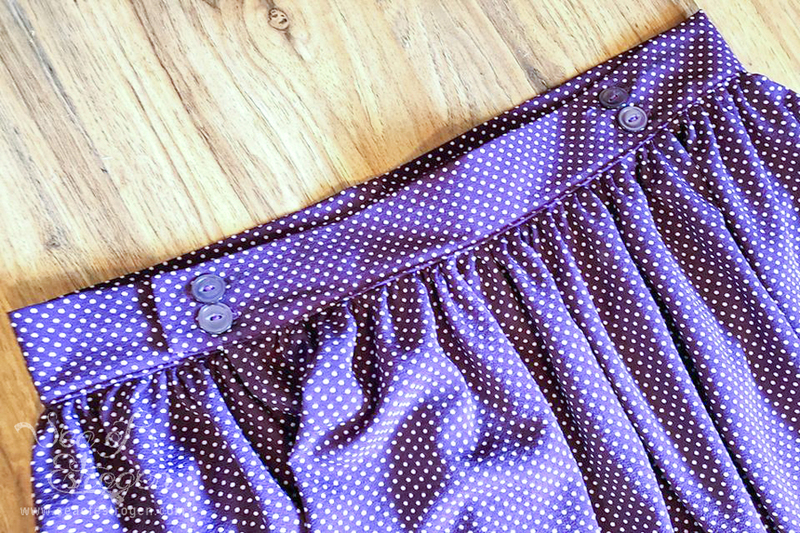 I used it to make a George & Ginger Festival Freebies Skirt (FREE PATTERN), and I love it! It is wonderfully drapey and lightweight for summer! I will share worn pictures of it later this week or in next week’s post. Sly Fox Fabrics is sponsoring this year’s Sew Americana Blog Tour, and I received my fabrics from them last week. The pieces I am making are all cut out and ready to sew. My day to share on the tour is June 23rd. I finished my Swanky Tank last night, and I am sharing it tomorrow. 5. Finish unpacking, organizing, and cleaning sewing room. What are your crafty and/or sewing plans this week? Hi Amy, congratulations on your sewing room. That’s going to be so nice. How exciting to be getting your sewing room set up! I love the cheery yellow room!